Product prices and availability are accurate as of 2019-04-10 05:59:37 UTC and are subject to change. Any price and availability information displayed on http://www.amazon.com/ at the time of purchase will apply to the purchase of this product. Got an aspiring Picasso or Frida Kahlo in your life? 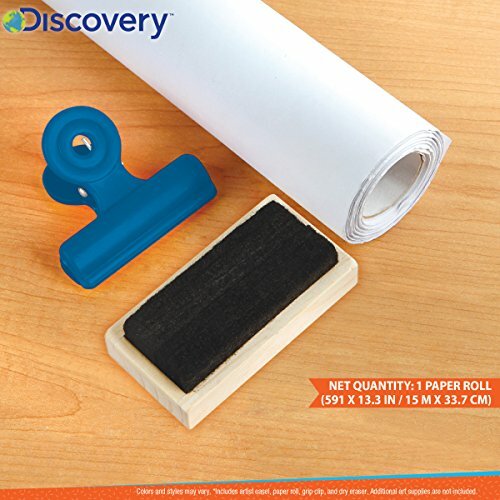 Develop your child's love of the arts with the DISCOVERY KIDS 3-in-1 Tabletop Dry Erase, Chalkboard, and Painting Easel! 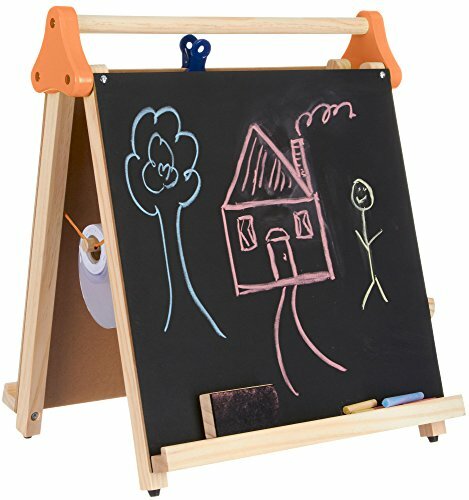 Crafted with a dry erase board on one side and a black chalkboard on the other side, this multifunctional easel is also designed with a built-in paper roll holder, so kids can create whatever they want, wherever they want. 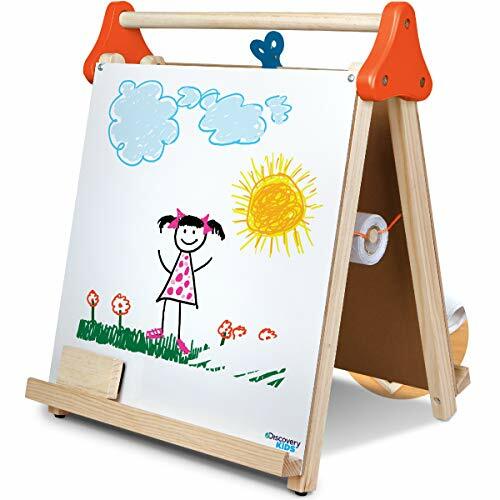 This lightweight, foldable easel is crafted from high quality solid wood for sturdiness and is portable to be set up on any countertop or table surface. When finished, the easel folds for easy storage. A simple flipchart display allows preschool teachers to present drawings, diagrams, and simple equations to eager learners. 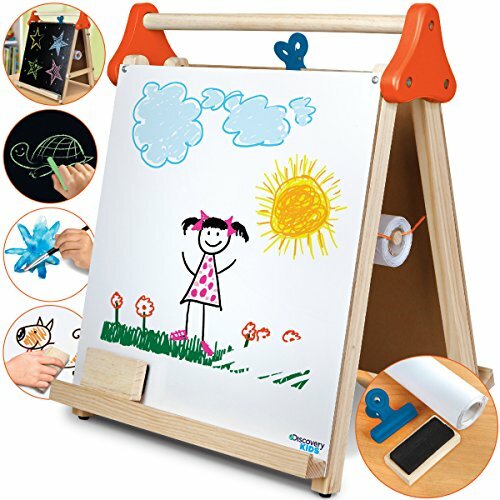 The easel is also a welcome addition for group art activities in the classroom since the double-sided construction allows students to form intrapersonal connections in an engaging setting. Develop Their Creativity - Enrich your toddler's love of the arts with a handy 3-in-1 easel crafted for painting, chalk doodles, sketches, and much more! 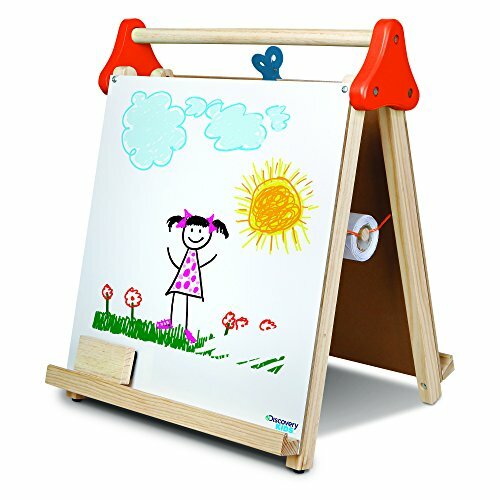 Top Quality You Trust - The Discovery Kids 3-in-1 Tabletop Dry Erase, Chalkboard, and Painting Easel is crafted with high quality solid wood and expert construction for long-lasting durability that works as hard as they do. Easy to Use & Store - The compact, foldable design allows kids to prop up their easel on any countertop or table surface with no fuss whatsoever and can be stored away for future use. It's also a wonderful travel companion for artists-on-the-go thanks to the easel's portability. Don't Wait! Click "Add to Cart" Now & Make Your Favorite Little Artist's Day Great!